Legislation has been submitted to the House of Delegates to repeal the authority of local and state agencies to use speed and red light cameras. The bill, labeled as House Bill 436, is sponsored by Delegate Warren Miller and 33 other state lawmakers. HB 436 will be heard by the Environment and Transportation Committee on 2/18 at 1pm. The bill has also been submitted in the Senate as Senate Bill 468. A hearing has been scheduled in the Senate Judicial Proceedings Committee for 2/23/2016. This year's bill is the latest piece of legislation in response to reports of numerous errors and other problems in speed camera programs across the state. Most specifically, Baltimore City's speed camera program was shut down in December of 2012 after it was revealed that the city issued thousands of erroneous citations based on incorrect speed reading. These errors were confirmed by audits of the city's speed camera program. Baltimore's vendor at the time, Xerox State and Local Solutions, is currently the vendor for both the SHA's program and Montgomery County's speed camera program, as well as programs in Rockville, Takoma Park, Gaithersburg, and several other municipal programs. Errors had been reported in other jurisdictions as well, but not all have been acknowledged by local governments. Recently, we reported that College Park cited a stationary shuttle bus. In Wicomico county, a number of school teachers alleged that they had received erroneous citations. Some motorists had alleged receiving erroneous citations from Forest Heights. One motorist in College Park used a "car chip" which recorded his vehicle's speed and it showed that the speed his vehicle was recorded at was not the speed shown on the citation, that motorist succeeded in having his citation dismissed in court. More recently, we reported that College Park issued a citation to a stopped shuttle bus. Some jurisdictions have incorrectly claimed that errors were isolated to Baltimore City, and all that all errors involved stationary vehicles, so the only thing they needed to be able to prove was that vehicles were "present and moving" and passed manufacturer defined calibration checks. However most of the erroneously cited vehicles from Baltimore's program were in fact moving, just not at the cited speed, and the devices giving faulty readings actually passed all their calibration tests, proving that the current requirements for testing do not prove accuracy. Thus most local governments, who claim that citation images cannot be used to verify speed and rejected prior legislation which would have required that, have no means of identifying errors of that sort. The State of Marylands program came under criticism in 2011 after it was revealed that manufacturers had been permitted to "certify" their own equipment as accurate, rather than using an independent lab. A 2012 audit of the SHA's program revealed that the state did not meet its own standards for testing equipment at the start of the program, and a requirement that equipment certified by the International Association of Chiefs of Police was waived, a change which gave one contractor a decided advantage. No refunds were issued, and the whistleblower who revealed the issues was forced into early retirement for rocking the boat. The speed camera programs in the Town of Morningside and the Town of Fairmount Heights were also shut down after those programs received severe criticism in the press. However some local governments rarely set things right after problems are uncovered. Montgomery County, for years, issued citations on days when legally required calibration tests were not performed, particularly on weekends, and none of the legally required "daily setup logs" were kept. Montgomery Count kept all the revenue from those citations and voided none of those citations. Red light cameras have also come under criticism, as it has been revealed that in some jurisdictions most of the citations issued for red light running are not issued for "straight through" red light running. Rockville, in particular, more than doubled their red light camera revenues after deploying new cameras which ticket for slow moving right turns or vehicles which stop partially ahead of the white line. In one particular example, a video showed a vehicle stopped just ahead of the white line to see around a snow bank before making a right turn. Rockville unashamedly charged that motorist with running a red light simply for pulling ahead of the snow bank the city and county had failed to remove so that he could clearly see into the intersection. Elsewhere in the US photo enforcement has also come under fire, largely due to a bribery scandal involving photo enforcement contractor Redflex. Any unfavorable changes to speed and red light camera can expect to face stiff resistance from the photo enforcement industry, which has significantly increased their spending on lobbying in the past year. Local governments which profit from speed cameras, and their puppet organizations MaCo and the MML, are expected to oppose any changes to photo enforcement laws which might better protect the legal rights of motorists. Some local governments, particularly Montgomery County, regularly expend taxpayer resources and public employee time influencing state lawmakers. Officials from Montgomery County's speed camera program were invited in the past to sit on secret legislative workgroups which opponents of speed cameras and the general public were not permitted to observe. Montgomery County even went so far as to create a secret "Citizens Advisory Board on Traffic Issues", which has discussed the county's testimony on pending legislation and created "sock puppet" opinion articles which were successfully planted in the local press; unlike normal "citizens advisory boards" this board is completely closed to the general public. Some local governments have grown to view speed and red light camera revenue as a sort of "highway user fee", which they are rightly entitled to collect. A member of Chevy Chase Village's council once stated "I think Safe Speed money is the crack cocaine of local government." in reference to the city's budgeting practices. Prior "reform" legislation which actually addressed concerns of critics of the current system have always been shot down, and supporters of the system have been able to ensure that any legislative changes were so full of loopholes and twisted language as to be utterly meaningless. 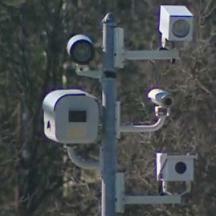 Legislation requiring audits of speed camera programs, of the type which which found the errors in Baltimore City, has been shot down by the house committees in the past because local governments did not want outside oversight which might reveal errors or other problems they did not wish to publicly admit.